With its brushstroke-style Japanese text, this T-shirt might look cool, but it’s literally ridiculous. All else equal, we want our clothes to make us look cool, don’t we? So what better way to show off your effortless stylishness than with a T-shirt announcing to the world that you’re a cool guy in Japanese characters, with helpful English subtitles so that speakers of both languages can appreciate your coolness? Except, there’s a bit of a problem here. Well, actually two problems. But hey, maybe that’s just the kind of badass label you’d like to wear across your chest. Still, there’s one more thing to bear in mind before you rock this T-shirt at the next bare-knuckle underground fighting tournament you participate in. Remember how we said those characters would be read as tsu/tsumetai and yatsu by themselves? Well, when you put them side-by-side like the T-shirt does, they get a new reading, hiyayakko, and a new meaning to go along with it. Considering how this discussion has gone from “cool guy” to “man with a cold heart,” the meaning of hiyayakko has got to be something even more ruggedly manly, right? 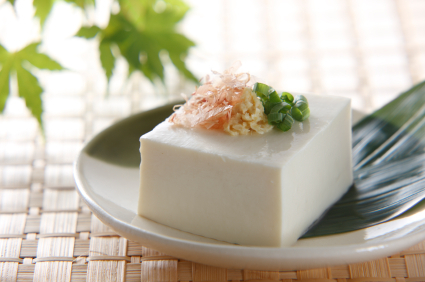 Even though the components literally mean “cold guy,” hiyayakko is actually the Japanese word for a small block of cold tofu, of the sort you’ll usually find as an accompaniment to a traditional meal. “Foreigners, don’t be fooled!” cautions @Auxilyrica, the Twitter user who tweeted the photo of the shirt. Looking at the garment’s tag, however, it appears to be made by Printstar, a Japanese company that sells casual clothing to youth-oriented fashion retailers in Japan. Given those shops’ clientele, it’s more likely that Printstar is trying to give English-savvy Japanese customers a chuckle, instead of honestly trying to trick unsuspecting foreigners into looking silly. Still, this is a good reminder that it’s probably a good idea to check that the kanji on the T-shirt you’re buying really mean what you think they do.